Browse 20 States on Wheels by chapter below. WANT A FREE PRINT COPY? 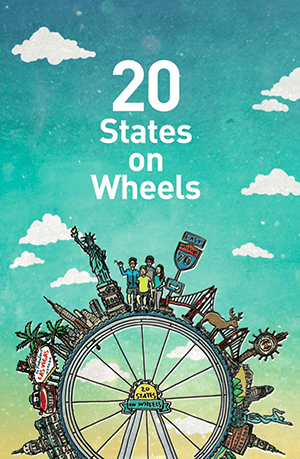 A limited number of print copies of 20 States on Wheels will be distributed for free in the U.S.
Sign up below if you would like a print copy, or to receive updates on future projects by the creators. Click on the logos above to see the articles we’ve been featured in. 20 States on Wheels was an idea born in a college freshman dorm room that eventually grew into a 7-week journey across the U.S. and an innovative, 400-page travel guide. 20 States on Wheels is committed to keeping the information presented in our guides as accurate as possible. If you see an error, please leave us your feedback below. © 2015 20StatesonWheels. All rights reserved. Developed by Kunho Kim and Brad Riew.